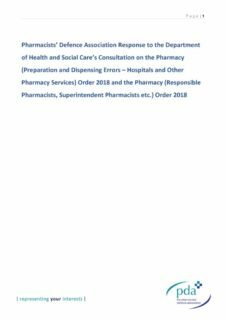 The DHSC consulted from 19 June 2018 until 11 September 2018 on changes to the way registered pharmacies operate. 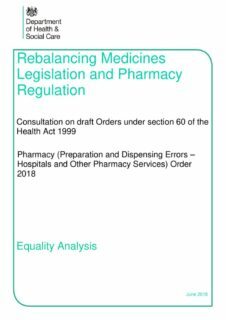 At the same time, the DHSC were consulting on extending the legal defences to prosecutions for inadvertent dispensing errors under section 63 or 64 of the Medicines Act 1968, to hospital pharmacists and pharmacists working in other areas of practice such as in care homes. 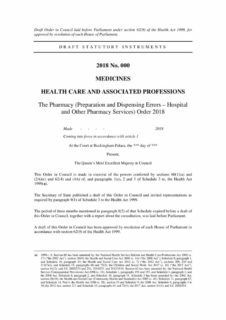 In its response, the PDA stated its opposition to remote supervision. 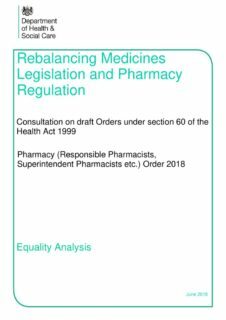 The PDA also opposed any changes which would allow the pharmacy regulators to bring about remote pharmacist responsibility for pharmacies. See previous news item here. 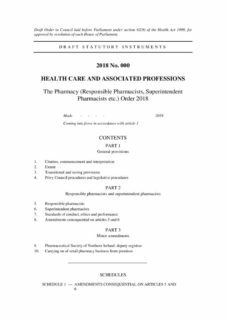 Standard setting should be driven by professional leadership bodies, in pharmacy’s case the Royal Pharmaceutical Society and the Pharmacy Forum of Northern Ireland. 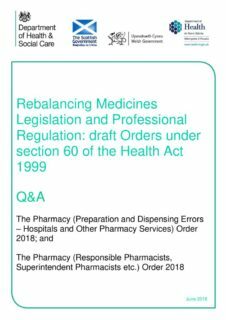 The rebalancing board’s approach should be changed to make it representative of the pharmacy profession, by ensuring organisations such as the PDA (the largest pharmacist membership organisation in the UK), and the NPA – the independent contractor’s organisation – are represented on the board. The rebalancing board ought to seek the introduction of guidance for state prosecutors, prompting local police forces to work to a programme where any offences related to inadvertent dispensing errors where gross negligence manslaughter has been excluded are referred to the regulator and are not subjected to criminal prosecution. 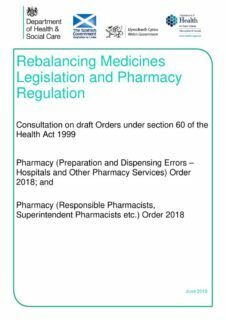 At the same time, the board should conduct a broader review of medicines legislation with a view to removing the threat of criminal sanction for inadvertent dispensing errors as far as possible [GL1] as per the DHSC policy objective. 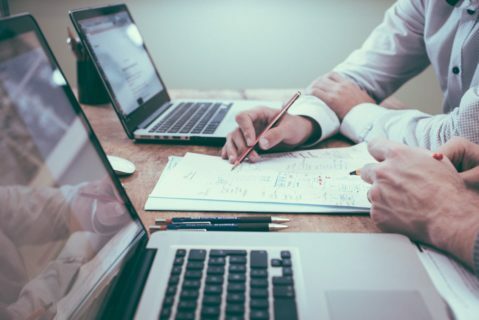 It is fully understood that the prospect of gross negligence manslaughter prosecutions, and prosecution for crimes against the person (e.g. where harm occurs) cannot be removed.